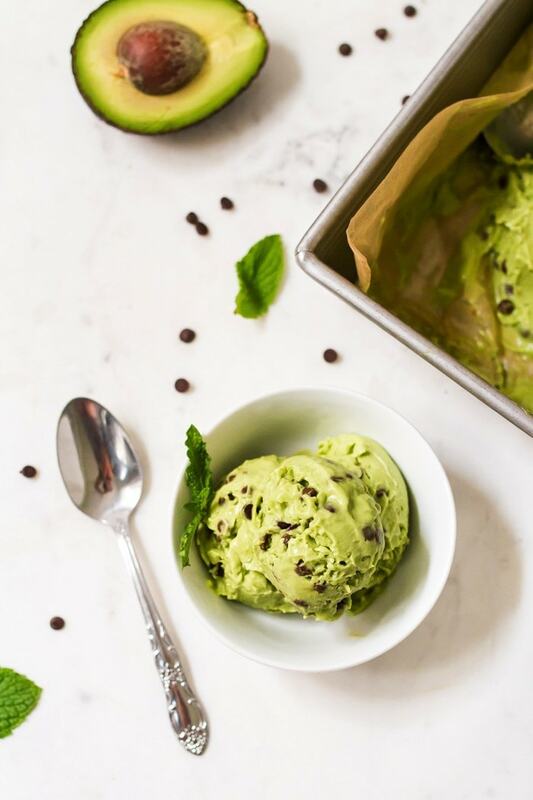 Mint Chocolate Chip Avocado Ice Cream made with only six ingredients and doesn’t require an ice cream maker! It’s also diary-free, gluten-free, vegan and paleo-friendly. This post is sponsored by Almond Breeze. Move over banana ice cream, there’s a new fruit-based ice cream in town. I’m calling it cado cream, but it’s essentially ice cream made with avocados and it’s the bomb. 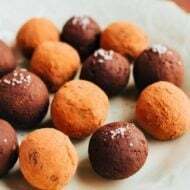 If you know me, you’ll know that “the bomb” isn’t really in my everyday vocabulary, but there’s really no better way to describe this delicious, creamy treat. I love banana ice cream and make it frequently during the summer months (my favs: healthy chocolate banana ice cream and oatmeal raisin cookie dough ice cream), but I know there are people out there who don’t like bananas. Plus some ice cream flavors don’t really mesh with banana. 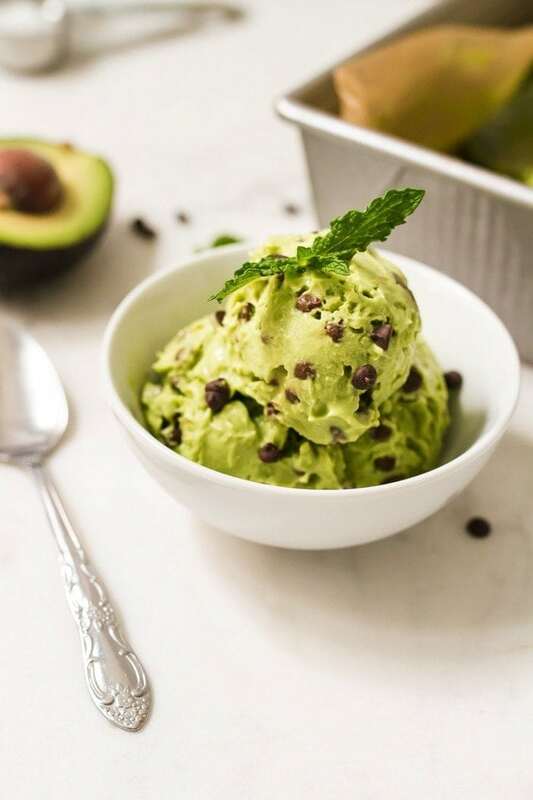 Something about having a banana in my mint chocolate chip ice cream just doesn’t seem right to me.That’s where avocados come in! 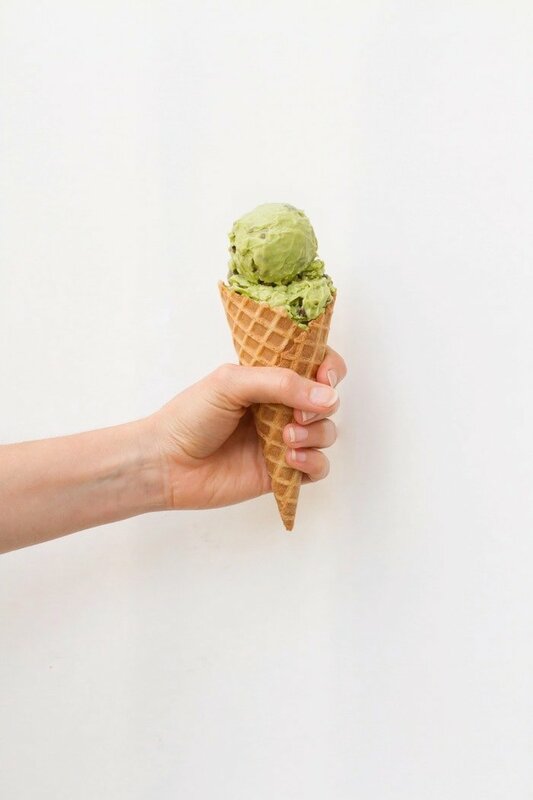 Avocados are the perfect base for non-diary ice cream because they’re super duper creamy and the flavor is pretty neutral once sweetened. And their green color made turning this cado cream into mint chocolate chip avocado ice cream a total no brainer. Eating it out of a waffle cone was another no brainer. Ice cream is always better from a cone. Ingredient wise, this recipe is so simple. 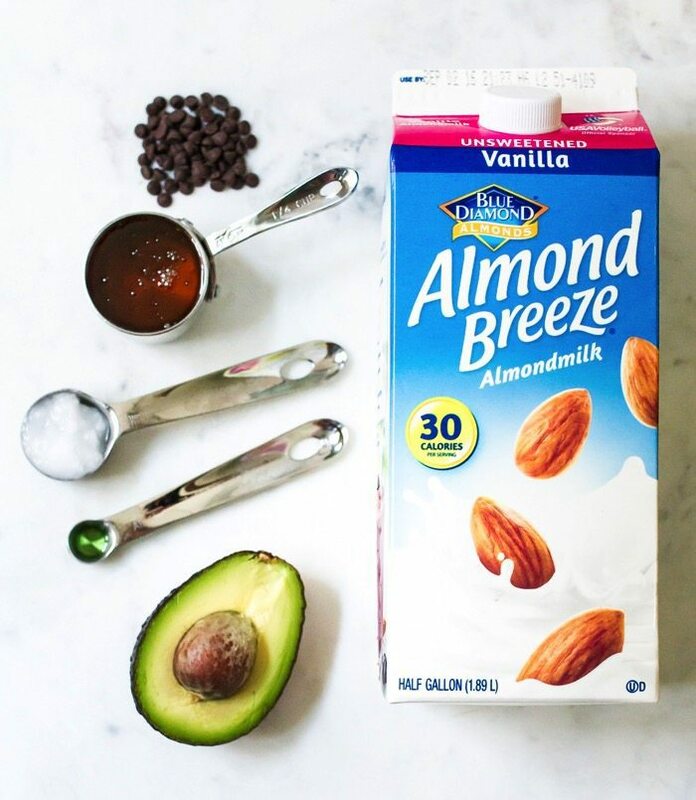 You need six ingredients = two avocados, Almond Breeze almondmilk, liquid sweetener of choice, coconut oil, peppermint extract and chocolate chips. Blend everything up until smooth and creamy, add you chocolate chips, freeze and enjoy! No fancy ice cream maker required. 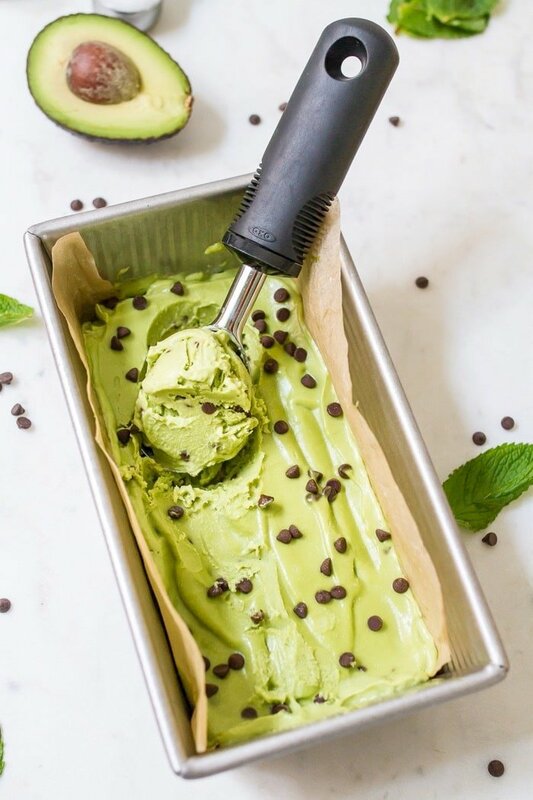 If you’re looking for a delicious, dairy-free ice cream treat to enjoy this summer you MUST make this avocado ice cream. It’s seriously so good and incredibly satisfying. I’ve already made the recipe three times because Isaac and I both absolutely love it. If you’re a mint chocolate chip fan I know you will LOVE it too. 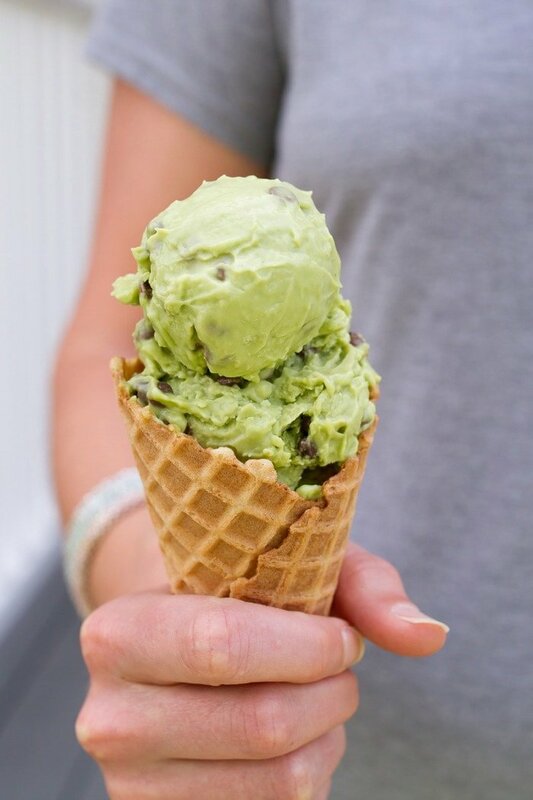 Creamy mint chocolate chip ice cream made with avocados, almond milk and coconut oil. It’s diary-free, gluten-free, vegan and paleo-friendly. Add all ingredients except for the chocolate chips into a high powered blender. Blend until smooth and creamy. Stir in chocolate chips and pour into a freezer-safe container. I used a loaf pan lined with parchment. Place container in the freezer to set. It should take about 4-5 hours. Once frozen, pull ice cream from the freezer, let sit out on the counter for 5-10 minutes to soften. 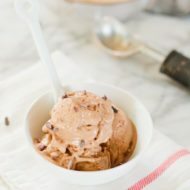 Use an ice cream scoop to serve and enjoy! Feel free to use your sweetener of choice here. Play around with using stevia instead of maple syrup/honey if you want to reduce the sugar content. 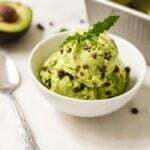 If you try this avocado ice cream be sure to leave a comment and star rating letting me know how it turns out for you. 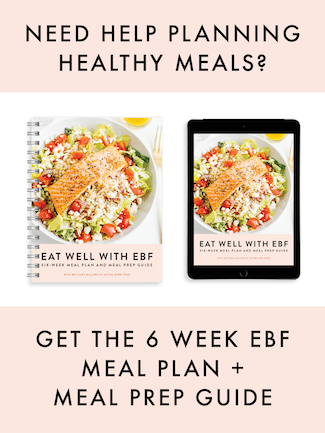 This feedback is not only helpful for me but it helps other EBF readers as well! This looks and sounds dreamy! I need to get coconut oil and peppermint extract to make this soon! Yes! Go grab those things and make it ASAP. You’re going to love it. Thank you, Sarah. I was honestly shocked by how well it turned it out. Even my husband loved it and said the texture was perfect. Thank you so much, Izzy. You’d really love it. OOOH yum! I will most definitely be trying this over this 4th of July weekend!! Thanks for sharing! I think this would make an amazing pistachio ice cream as well! Woo-hoo!! Send me a picture and let me know what you think. Also, you are a genius. Totally making pistachio next! What a cool idea! I can’t wait to try it! This would be great for all those times I buy avocados and forget to use them up within the first couple days. I’ve only ever tried avocado pudding and loved it, so I’m sure I’d love this ice cream! I’m a huge fan of mint chocolate chip anyways! Avocado pudding is delicious too! This is essentially frozen avocado pudding, but the consistency is spot on with ice cream. I’m hooked! Thanks babe! This is right up your alley. Ohhhh you are ON to something! The only ice cream alternatives that I’ve made so far are banana ice cream variations, but I could totally get down with this! What would be the best nut free milk substitute? Coconut or regular milk? This is definitely something I’ve been wanting to try! I wonder if Charlie would eat it?! Mint chocolate chip is one of my family’s favorite flavors. We’d love this! This really looks delicious. 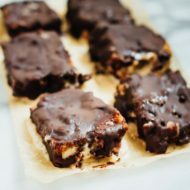 I can’t wait to share this recipe with my clients who have a sweet tooth! Wow this really looks awesome dish. Thanks for sharing this recipe. this is AWESOME!!! yummy. I can’t wait to try this! Pinned! so healthy!!!!! Is there any way to make this using regular sugar? Hi Siena. I haven’t tried it with regular sugar, but I think it will turn out fine. Let me know if you try it! Do you make this using the small or the large avocados? Hi Debbie! Good question. I used the regular (medium sized) HASS avocados. Hope this helps! Omg. It tastes good with just the batter alone. I added a tiny more bit of almond milk and used a spoon to help it blend. Peppermint oil work well to.cant wait for it to freeze so i can eat this delicious indulgence! I complete late that it’s constantly properly to depart a mark. This facilitates to noted the author for his hardwork and is to boot correct.I examine most of the posts to your journal. My weblog happiness to a comparable category permits state tons of. Love them.